Unlike the Western Conference, where the Chicago Blackhawks or Los Angeles Kings have appeared in five of the last six Stanley Cup finals, the past seven years have seen six different teams in the Eastern Conference “lift” the Prince of Wales Trophy, with the Tampa Bay Lightning going into the new season as the defending champions. This season looks to provide the same uncertainty as to which Eastern team will finally outlast the rest when the mad dash to the Cup starts Wednesday night. Enjoy our Eastern Conference preview, and if you have any questions, comments and/or complaints, write them below on the Facebook window or email us at feedback@alotofsportstalk.com. We’d love to hear from you. 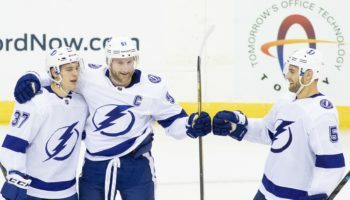 Finishing two wins shy of a Stanley Cup is not too shabby, and it’s probably why GM Steve Yzerman decided that no big change was necessary for the Tampa Bay Lightning to go the distance once again this year. The only alteration to their lineup was replacing veteran Brenden Morrow with 28-year-old Erik Condra, adding a key element to their bottom-six. 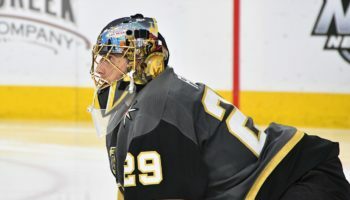 Biggest question: With his injury history, especially when it comes to playoff time, will Bishop be able to go through the entire regular season and postseason healthy? There can’t be too many more excruciating ways to go into an offseason than losing a Game 7 at home with a chance to head to the Stanley Cup Final. No team might be more motivated for the season to start than the Blueshirts, who know that, after a few close calls over the past few seasons, their window of opportunity to win a Stanley Cup with Henrik Lundqvist in goal, is not getting any wider. Biggest Question: Can Chris Kreider go from being a player with massive potential to a player who lives up to it with a 30-goal season? After two years of finishing with 100 points or more and reaching at least the second round of the Stanley Cup playoffs, the Montréal Canadiens are ready for another long run in 2015-16. Their three most outstanding players might very well be the three best NHL players at their own position: Carey Price put up absurd statistics in winning the Vezina last season, defensman P.K. Subban has become a regular in Norris trophy discussions and new captain and elite power forward Max Pacioretty has sustained a 36-goal average per season in non-lockout years since he became a regular in the NHL in the 2011-12 season. Elsewhere, moving Alex Galchenyuk to center has already produced some spark in the preseason, and the addition of veterans Alex Semin and Tomas Fleischmann could bring some well needed depth up front. 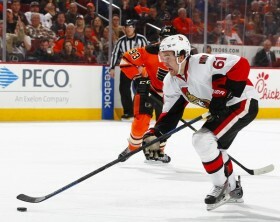 Fleischmann struggled last season with both Florida and Anaheim, so maybe a fresh start could be what’s best for him. -E.A. Biggest question: Can the addition of Semin, a one-time 40-goal scorer, spark an offense that finished in the bottom half of the league in goals per game (20th, 2.61) and on the power play (23rd, 16.5%)? When brand new optimism combines with playing in a brand new arena, will that mean we will see a brand new power emerge in the Eastern Conference? The last season at the Nassau Veterans Memorial Coliseum saw the Islanders rock the old barn like it had during their Stanley Cup glory days of the early ‘80s, and will head into the Barclays Center after their first 100-point season since their last Stanley Cup win in 1984. John Tavares went from budding superstar to Hart Trophy finalist, coming up just one point shy of winning the Art Ross Trophy (38-48-86). Even with his talent, it’s the forwards around him who stepped up that lifted the Isles to another level, namely wingers Ryan Strome and Anders Lee, the latter scoring 25 goals in his rookie season. New York might have won their first-round tilt with the Capitals had they had any healthy defensemen remaining by the end of the series. Adding Stanley Cup-winning blue liners Johnny Boychuk and Nick Leddy proved pivotal last season, and they need to lead the younger blue liners as they learn from their crash course in the NHL during that Capitals’ series last April. -A.O.K. Biggest question: How much of a home-ice advantage will the Barclays Center provide the Islanders in Year One? The Pittsburgh Penguins are arguably the hardest team to classify in the East, because each part of their team could be placed in a category of its own. For example, if we look at their top line of Chris Kuntiz, Sidney Crosby and newcomer Phil Kessel alone, we could rank them as a strong contender. If we consider their second line – which could include Sergei Plotnikov, the 25-year-old Russian who left the KHL to play in Pittsburgh, to the left of Evgeni Malkin and Patric Hornqvist – and their bottom six, the Penguins would probably be considered more for the “one step below” category. Then comes their defensive corps, who, outside of Olli Maatta and Kristopher Letang (when healthy), is probably their biggest weakness and needs to improve its play. That would put the Penguins far away from the other teams in the East. But goalie Marc-André Fleury, who has had his ups and downs since he came into the league, is definitely a dark horse. He can sometimes be the best player on his team (OK, maybe the second-best), but he can also be their most liable for the team’s failings. Let’s hope for the Penguins that he follows up one of his best seasons ever (.920 save %, 2.32 GAA, NHL-best 10 shutouts) with another great performance in 2015-16. -E.A. Biggest question: Will a questionable defense hold up its end of the bargain and complement the forwards and goaltender? After a poor start to the 2014-15 season, the Ottawa Senators turned things around under promoted assistant coach Dave Cameron. (He replaced Paul MacLean, who was fired two months into last season). The Sens finished the year with a Cinderella-esque run that landed them the first Wild Card playoff spot in the East. Even though they were eliminated in a contentious first-round series by the Canadiens, the front office didn’t feel it needed to make major adjustments during the off-season, and a couple of tweaks here and there were enough for GM Bryan Murray. There is depth from top to bottom, as the young talent up front (e.g. Mark Stone, Mike Hoffman, Mika Zibanejad, Curtis Lazar, et al.) combines with the calming presence of double Norris trophy winner Erik Karlsson in the back and a strong duet in front of the net with Craig Anderson and Andrew Hammond. 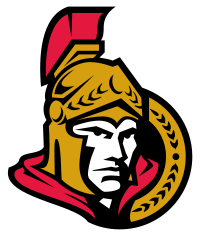 The Sens are most likely still not ready to lift the Cup, but they can make a better run than last year in the playoffs if they can manage to start the season almost as well as they ended the last. -E.A. Biggest question: Was last season’s record-setting hot streak just a fluke, or can the Senators be a team of consistency from October through April? Once again, the Capitals ended their postseason in the most painful way possible, blowing a 3-1 series lead in the second round of the playoffs against the New York Rangers. This season, anything short of making it to the Eastern Conference Finals would be a massive disappointment. Last offseason saw the defense get an overhaul, as they added Matt Niskanen and Brooks Orpik to the blue line. This offseason, GM Brian MacLellan, who made the smart hire of head coach Barry Trotz before last season, added some talent up front to ease the burden on stars Alexander Ovechkin and Nick Backstrom; T.J. Oshie (and all of his trick shots) comes over from St. Louis while Stanley Cup winner Justin Williams arrives from Los Angeles. While they upgraded in talent on the wings, they did lose Joel Ward in free agency (San Jose), someone who had a knack for coming up with big goals in the postseason. Ovechkin is now 30 years old, but his all-around play has improved and looks to have even more productive seasons in front of him, especially with the reinforcements in place. – A.O.K. As has been their tendency over the last decade or so, the Detroit Red Wings didn’t make that many changes during the off-season, with their philosophy and trademark being to build from within. Speaking from building from within, the franchise looked from within to replace legendary Mike Babcock, as Michigan native Jeff Blashill, who most recently was the head coach of Detroit’s AHL affiliate in Grand Rapids, MI, takes over the head coaching duties. Lucky for them, their talented youngsters (Gustav Nyquist, Tomas Tatar, Riley Sheahan, etc.) are, as always, their biggest asset, along with their Stanley Cup-winning veteran leadership, headlined by Pavel Datsyuk (who will miss the begining of the season because of ankle surgery he had in June) and Henrik Zetterberg. The Red Wings added well-established players in the off-season in defensman Mike Green – a right-handed shot on the back in Detroit for a change – and center Brad Richards, but the team will face some post-Mike Babcock era uncertainty after the head coach left for the Toronto Maple Leafs. There may not be as much uncertainty in goal, at least to start, as the play of Petr Mrazek in the playoffs could keep Jimmy Howard as the No. 2 keeper. If Howard regains his form from the beginning of last season, expect that battle to last well into the season. They will make the playoffs alright, because they are the Detroit Red Wings and that’s just what they do. But don’t expect them to go very deep. -E.A. Biggest question: Even though Blashill coached a number of the current Red Wings in the minors, how smooth will the transition really be on the bench now that Blashill is in the big leagues? There were few teams who played better at the end of the regular season last campaign than the Florida Panthers, who just missed a playoff spot. They should continue their momentum this season if a couple of veterans hold up. Roberto Luongo, 36, turned back the clock last year, finishing with a .921 save percentage. Speaking of turning back the clock, Jaromir Jagr, 43, seemingly has been doing just that for the past 15 years. 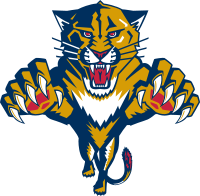 After being acquired from New Jersey at the trade deadline, Jagr scored 18 points in 20 games played (6-12-18) while creating great chemistry with youngsters Jonathan Huberdeau and Alexander Barkov on the top line. Speaking of youngsters, all defenseman Aaron Ekblad did last season was win the Calder Trophy, the second Panther to win the award in the past three years (Huberdeau won in 2013). He and Brian Campbell form one of the best defensive pairings in the East. -A.O.K. Biggest question: Will the special teams improve? Both the power play and penalty kill finished 24th in the league last season. After finishing nine points shy of the second Wild Card spot in the East in 2014-15, the only addition of note the Columbus Blue Jackets made was a pretty significant one – 22-year-old left wing and two-time Stanley Cup champion Brandon Saad. His addition makes the Columbus Blue Jackets a better team this season. Saad didn’t come cheap, however, as the Jackets did have to let go key parts of their offense, namely forwards Artem Anisimov and Marko Dano, to engineer that trade with the Chicago Blackhawks. Even with that, Columbus still has a lot of depth up front to go along with serious talent, with top-line center Ryan Johansen and right winger Nick Foligno headlining the forwards. Injuries hurt the team last year, including the groin injury No. 1 goalie and 2013 Vezina Trophy winner Sergei Bobrovsky suffered from. 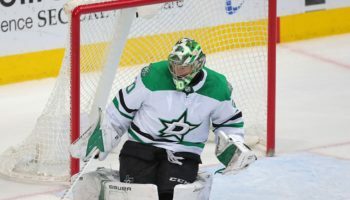 But even if Bobrovsky is in top form, the Russian will need more help from the defensive corps, which GM Jarmo Kekalainen will have to improve in order to get into the playoffs, if they hope to make it to the playoffs, even if it’s by clinching a spot as a Wild Card on the last day of the season. -E.A. Biggest question: Will a no-name defense hold up throughout the entirety of the regular season? So how can a team with the fewest points in the Eastern Conference in 2015 have hope for an immediate turnaround? Well, the easy answer is Jack Eichel, the second overall selection in the 2015 NHL Draft who has been ticketed for superstardom since he first stepped on the ice at Boston University. His first preseason game saw him score a goal and add an assist, giving Sabres fans genuine optimism for the first time in a long while. But the start of the rebuilding project really was felt last season, when the Sabres decided to jump in for Evander Kane, who finally wore out his welcome in Winnipeg. Though they had to give up Tyler Myers and others to get him, Kane should take advantage of the fresh start in Western New York. Buffalo continued its wheeling and dealing in the offseason, getting a No. 1 center in Ryan O’Reilly from Colorado and signing goaltender Robin Lehner, who was crowded out in Ottawa by the duo of Craig Anderson and Andrew Hammond. Don’t forget that the Sabres had the No. 2 selection in last year’s draft, and the player they took that year, Sam Reinhart, is ready to contribute as well, as long as he makes it out of camp with the team. -A.O.K. 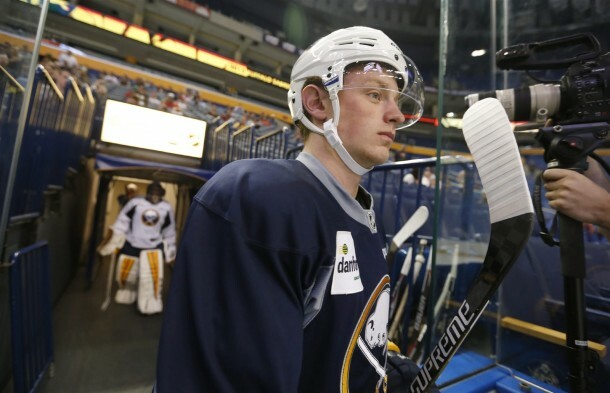 Biggest question: Can Eichel be the real deal against the big boys immediately? Going into the trade deadline last season, GM Ron Hextall was realistic: he knew his team’s salary cap was a nightmare and they needed to go through a rebuild – and fast – to get back to being competitive in the East. Behind the bench this season will be Dave Hakstol, the former University of North Dakota coach. Hakstol is used to molding young talent, and he’ll have to that with the defense unit, with players like Braydon Coburn and Kimmo Timonen shipped off at last year’s deadline. Philadelphia has a top line that ranks up there as one of the best, with Brayden Schenn and Jakub Voracek flanking Claude Giroux. Fan favorite Wayne Simmonds continues to be a two-way force. After that, depth is a major issue, as well as a defense that finished 21st in scoring defense and 27th in the penalty kill. -A.O.K. Biggest question: Will the Flyers’ even-strength play and penalty kill improve enough to compete for a playoff spot? It’s hard to say if the 2015-16 Boston Bruins will be even worse than last year or the same given that last season would have to be described as pretty catastrophic and new GM Don Sweeney, who was hired to replace Peter Chiarelli after he was let go in the off-season, didn’t really improve the team during the summer. Defensman Dougie Hamilton and left wing Milan Lucic, two key parts of the Bruins’ core, were traded away, and forwards Matt Beleskey and Jimmy Hayes were brought in to add some offense to a team that struggled in that category last year (22nd in goals per game, 2.55). Captain Zdeno Chara, despite being an inspirational and imposing presence on the ice, isn’t getting any younger, and fellow defenseman Dennis Seidenberg will miss a big chunk of the begining of the season due to back surgery he had two weeks ago. All the uncertainty at the back could mean Tuukka Rask will be once again called upon to carry the team on his shoulders, that after playing a career-high 70 games in 2014-15. The Bruins could flirt with one of the Wild Card positions in the East, but they don’t have the assets to go much further in the post-season this year. -.E.A. Biggest question: Where will the goals come from after the top line of Brad Marchand, Patrice Bergeron and Loui Eriksson? The glory days are indeed over. 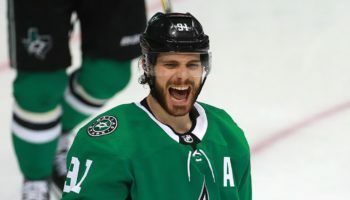 After a blast-from-the-past 2012 season which saw them make it to the Stanley Cup Final, the Devils have mired in mediocrity and/or obscurity ever since, missing the playoffs every season afterward. Exit Lou Lamoriello as GM and enter Ray Shero. Shero has to make the team younger, and acquiring Kyle Palmieri was a start. Jiri Tlusty was a late addition, and Devils fans hope his form can resemble that of the lockout season of 2013, when he scored 23 goals in 48 games for the Carolina Hurricanes. But the transition won’t come in a year, and what must happen in 2014-15 is a return to form for players like Travis Zajac and Adam Henrique. There are questions galore on the defense as well, as Andy Greene and 2011 first-round draft pick Adam Larsson form the top pair. Though it may not have looked like it at times last season, New Jersey’s biggest strength might be in goal (what a shocker, right? ), with Cory Schneider recovering from a slow start to finish ninth in the league in goals against (2.26) and sixth in save percentage (.925). All those numbers were for naught, as the Devils’ offense was ranked 28th in scoring in ’15. -A.O.K. Biggest question: How much does 40-year-old Patrik Elias still have left in the tank? Yes, stars like Eric Staal, Jordan Staal and Cam Ward are still on the team, despite the team needing to turn the page after not making the playoffs in the past six seasons. While they’re still there, they need to lead a team that has been bereft of offense the past few seasons. General manager Ron Francis made a bold move and parted ways with one of the players tasked to bring offense to Raleigh, the underachieving Alexander Semin, who landed in Montréal after Carolina ate $14 million to see him walk. Justin Faulk is clearly the team’s No. 1 defenseman, and has the potential to turn into one of the best in the league. The rest of the blue line is a mix of underwhelming veterans and youth that Carolina is hoping will mature fast. Ward still is the unquestioned No. 1 keeper, and the supporting cast around him has been mostly the reason he has not been able to recapture the form that saw him be one of the league’s best netminders earlier in the century. (Carolina finished 27th in scoring last season.) -A.O.K. Biggest question: Even if Carolina is competitive for a playoff spot, wouldn’t it be better to trade their high-priced stars to continue the restructuring of the team? They may have coach Mike Babcock and GM Lou Lamoriello now, and they may have traded away leading scorer Phil Kessel to the Pittsburgh Penguins for mostly young prospects who should be good for the future of the team, but all of that won’t bring winning results to the ice…at least for this year. 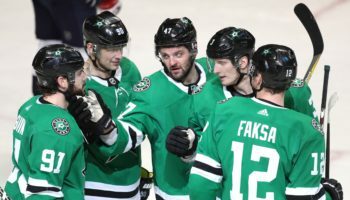 The good thing for them is that there is just no way in “H-E-double hockey sticks” that the upcoming season can be worse than the last, but they will most likely one again finish in the bottom rung of the NHL standings. We still expect them to learn a lot and be better under Babcock, but the best short-term solution for the Leafs could be to trade away some of their key veteran elements of the team (captain Dion Phaneuf, center Tyler Bozak and winger Joffrey Lupul), end the season with one of the worst records in the league and put themselves in a position to get a high draft pick for 2016. -E.A. Biggest question: Is it possible that there are too many cooks in the kitchen (team president Brendan Shanahan, Babcock, Lamoriello, special assignment coach Jacques Lemaire) for this massive reclamation project to work?